The Obama Foundation has announced that it has selected an interdisciplinary exhibition design team for the museum that will be part of the Obama Presidential Center (OPC). The exhibition design team will be led by Ralph Appelbaum Associates (RAA) and will ultimately include several firms and individuals with expertise in media, lighting, and acoustics. Several Chicago-based creative collaborators will play important roles in the exhibition design process, including the firms Civic Projects LLC and Normal, and the artists and educators Amanda Williams, Andres Hernandez, and Norman Teague. Almost half of the exhibition design work for the OPC will be performed by minority- and woman-owned businesses. RAA has led the exhibition design efforts for many interactive and dynamic institutions, including the recently-opened and critically-acclaimed National Museum of African American History and Culture, the Rose Center for Earth and Space at the American Museum of Natural History, and the United States Holocaust Memorial Museum. Civic Projects LLC is dedicated to making community participation a core ingredient in design, most recently with the Bronzeville Retail Initiative and the in-progress Englewood Exchange in Chicago. Normal has produced award-winning design projects for the Art Institute of Chicago, the Chicago Architecture Foundation, Lyric Opera of Chicago, Theaster Gates Studio, and University of Illinois at Chicago. A native of Chicago’s South Side, Amanda Williams is a visual artist and architect, well known for her series, Colore(ed) Theory. Andres Hernandez is an artist and educator committed to collaborative and community-based work, currently working on a range of projects with Museum of Contemporary Art Chicago, Chicago Department of Cultural Affairs, and the University of Chicago’s Arts and Public Life initiative. Norman Teague is a Chicago-based designer and educator devoted to examining the complexity and history of communities. 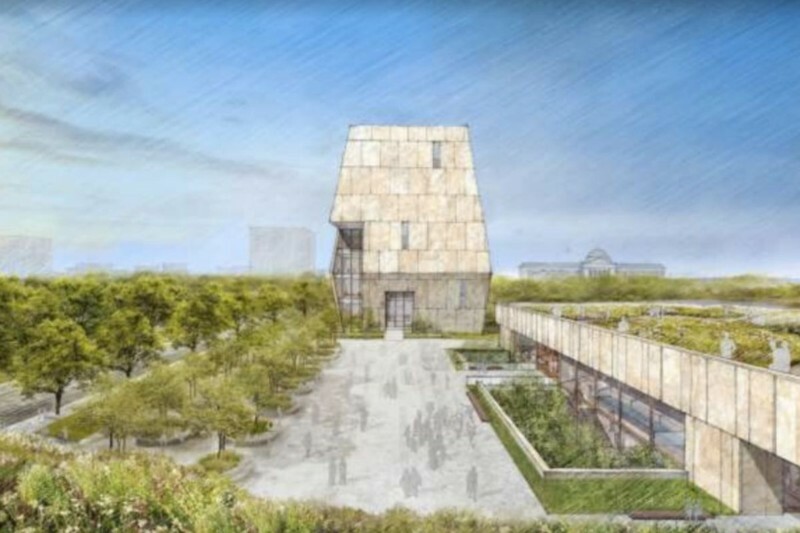 The Obama Foundation announced a landscape design team comprised of Michael Van Valkenburgh Architects and Associates, Site Design Group and Living Habitats in January. In October, the Obama Foundation announced the formation of an Inclusion Council, led by local leaders to ensure that the work of the Foundation is informed by a diverse set of viewpoints and is in line with the values of diversity and inclusion. In July, the Obama Foundation announced Jackson Park as the site of the future Obama Presidential Center. The Foundation considers the South Side community a full partner in the development and construction of the OPC, including in the integration of the OPC into Jackson Park. In June, the Obama Foundation announced that Tod Williams Billie Tsien Architects | Partners and Interactive Design Architects will lead the design phase of the Obama Presidential Center.